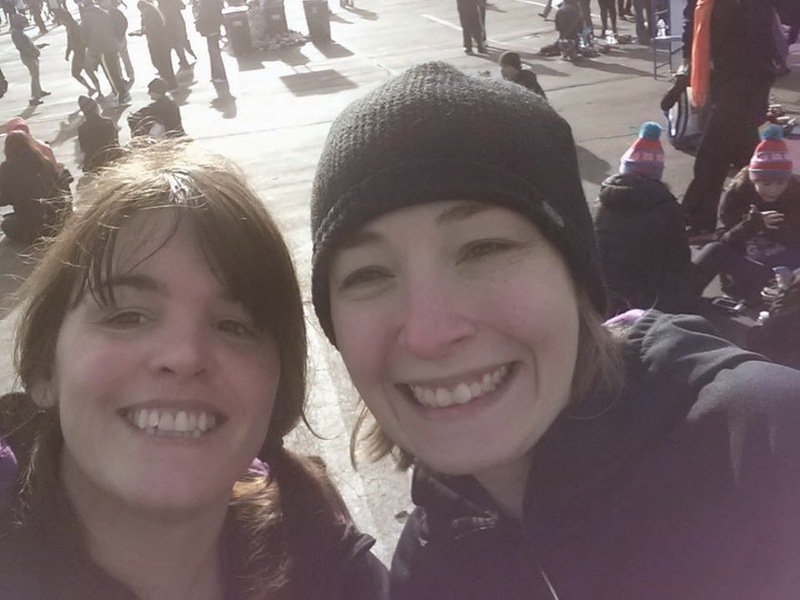 Running The Race Before Us: I run for chocolate! 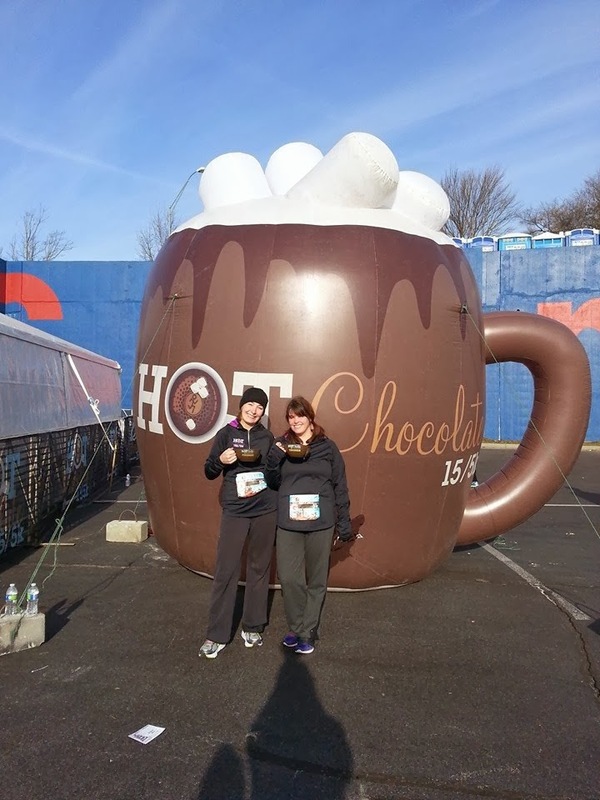 Today, I ran the sweetest 5K ever - The Hot Chocolate 15/5K! 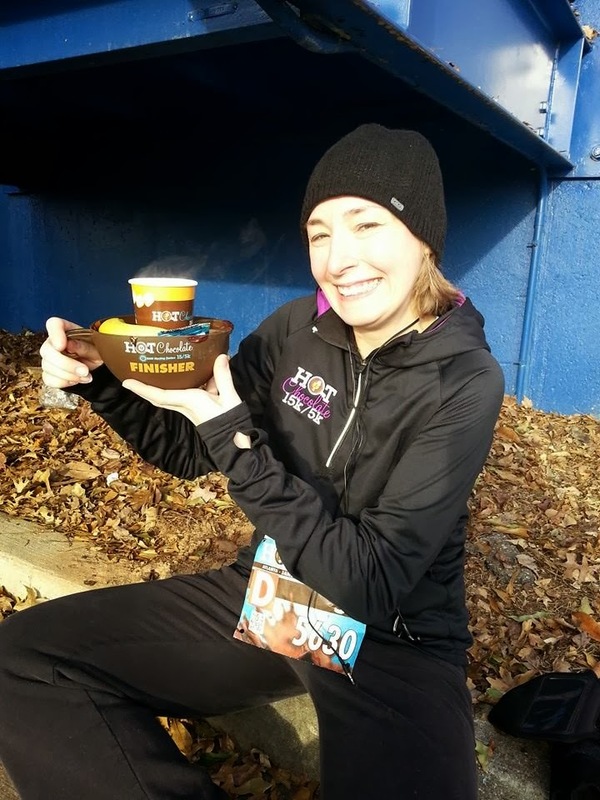 At the conclusion of the race (the 5K for me, of course), we got a mug complete with hot chocolate, melted dark chocolate, and a marshmallow, a banana, a rice crispy treat, and pretzels for dipping! Fondue!! It was a fraction of heaven in a plastic mug!!! I will run this race again. I say, I - WILL - run this race again! If only for the awesome hoodie and the grand finale of chocolate, it's worth every minute!! It was cold! Not unbearably cold, but CoLd nonetheless!!! 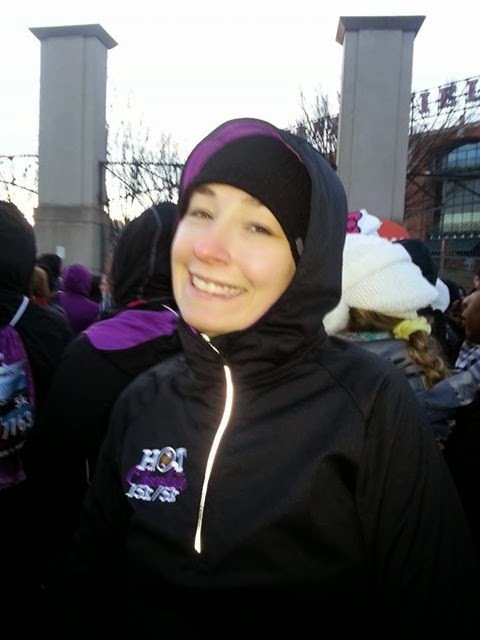 It was so cold, I had the worst race time I have had in a long time - 37:01. 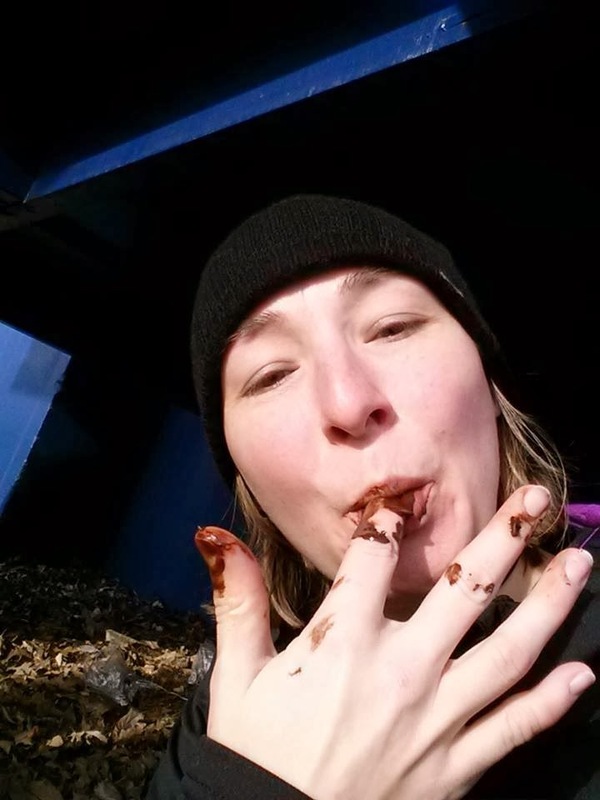 Today's forget-me-not: Chocolate is your friend!